Feel one with nature in the beautiful mountains of Eastern Tennessee. Whether you're an outdoor enthusiast or a Dolly Parton mega-fan, the Great Smoky Mountains offer a variety of attractions and activities for everyone to enjoy! It's truly the best of both worlds! A unique blend of natural beauty and entertainment, it's hard to pack everything our Great Smoky Mountains destination has to offer into just 3 days. Not to worry, our Xplore expert, Summer, has put together a sample itinerary of some of the things you must see during your time in eastern Tennessee. The 522,427-acre Great Smoky Mountain National Park is the centerpiece of this eastern Tennessee destinations, offering a multitude of things to do. Explore by foot, bike, or even horse to make your Great Smoky experience one to always remember. But, there’s more to the spirited towns of Gatlinburg, Pigeon Forge, and Sevierville than the park. The area is home to some of America’s most visited attractions, like Dollywood, the WonderWorks Museum, and downtown Gatlinburg! In the winter, grab your gear and head to the Ober Gatlinburg Ski Resort and get your adrenaline pumping as you race down the mountain. It's the perfect destination for every season. Start your vacation on a high note with a visit to the Great Smoky Mountains National Park. Enjoy a scenic round-trip adventure to the 80-foot Laurel Falls. With 2.6 miles around, this moderate hike will take about 2.5 hours to complete and is well worth the trek. Head to downtown Gatlinburg and take a ride up the 407-foot glass elevator for a breathtaking view of the mountains and city lights. Before retiring to your cabin for the evening, make a stop at the Slice Pizza Bakery in downtown Gatlinburg for a mouth-watering slice. Prepare for a day of family fun with a trip to the famed Dollywood Amusement Park! Owned by Tennessee's sweetheart, Dolly Parton, Dollywood is a popular spot to experience the thrill of the rollercoasters, see award-winning shows, and eat great southern food. Test your adventerous side and take a ride on the Lightning Rod, the fastest wooden rollercoaster in the country! Conveniently located in the park, Hickory House BBQ offers mouth-watering barbecue and southern-fare, perfect to complete a true Dolly-inspired day. Are you a frequent visitor to Dollywood? Check out their season pass option. For 6 payments of less than $16 per month, you can enjoy the fun of Dollywood all year long. If you'd like to preoder your tickets, call our Xplore team before you arrive. Spend the day at the 35,000 square-foot WonderWorks Museum. With 35,000 square feet, this indoor amusement park provides guests the opportunity to explore and learn as they unover the museum's many exhibits. Play laser tag, attempt the ropes course, go on a space expedition, or head to the Imagination Lab. Known as the moonshine capitol of the world, learn about the history of the famous drink and see how it's made. Guests can also enjoy a tasting of legal moonshine and purchase a jar to take home. Indulge on 4-course dinner of southern delicacies and enjoy a great show. Dolly Parton's Dixie Stampede is a live, dinner attraction that features stunts, animals, dancing, and pyrotechnics for the guest's entertainment. Take a breath of the crisp, mountain air, and experience the natural beauty of the Great Smokies from one of our vacation rentals in Tennessee. 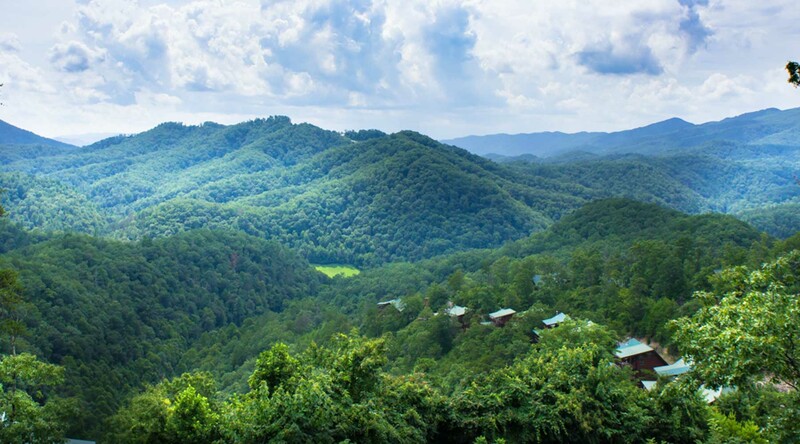 Your getaway to the Great Smoky Mountains will invigorate your senses with exciting entertainment, incredible southern food, and breathtaking vistas.